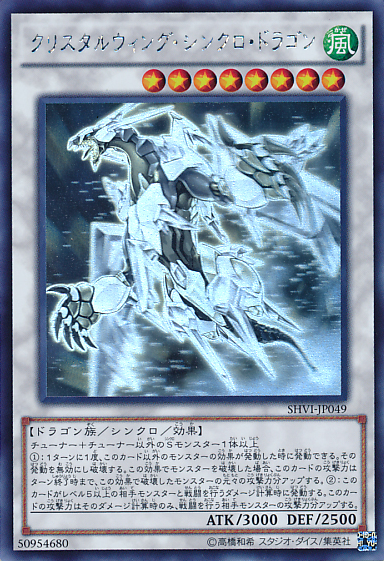 Holographic Rare (ホログラフィックレア Horogurafikku Rea, or simply Holographic) is a rarity introduced in the OCG version of Tactical Evolution. It has silver lettering like a Secret Rare Card, with many colors removed from the card image, while the entire card is holographic. Usually, Cover Cards have this rarity. 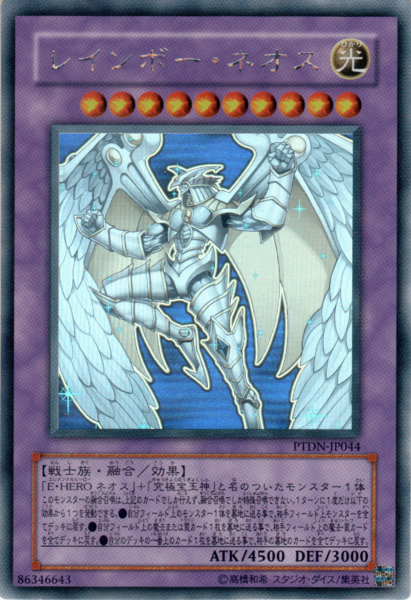 This is the OCG version of Ghost Rare. In the Korean OCG the rarity also was introduced in Tactical Evolution and continued on pair with the Japanese OCG up to Maximum Crisis, after which it was removed from Main Sets with the release of Series 10 Code of the Duelist. It was also removed from most other sets; being replaced with Secret Rare or Extra Secret Rare versions. With the exception of Rarity Collection 20th Anniversary Edition in which Blue-Eyes Alternative White Dragon kept the Holographic Rare. They were reintroduced with the release of Dark Neostorm. In the first version, Tactical Evolution to Crossroads of Chaos, the images were printed with only two focal distances, the card subject (the monster) was printed up front as a cutout and the background was in a different focus so that when looked in the right angle the monster would "pop out" from the back. In the second version, Crimson Crisis to date, the image was printed with more focal distances, including parts of the subject appearing in different distances, this gives the Monster more depth and color. The parts move differently by changing the angle of the card, just like a hologram.